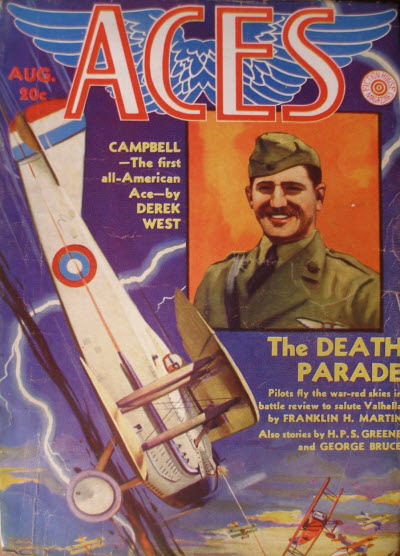 _124 · Behind Scarlet Streamers · Arch Whitehouse · lt; brief bio of WWI experiences. 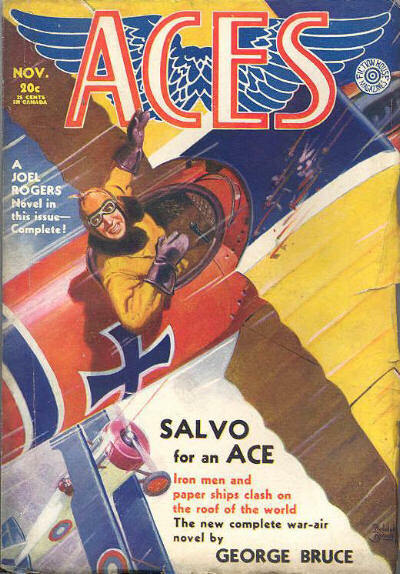 Details supplied by Joel Thoreson. 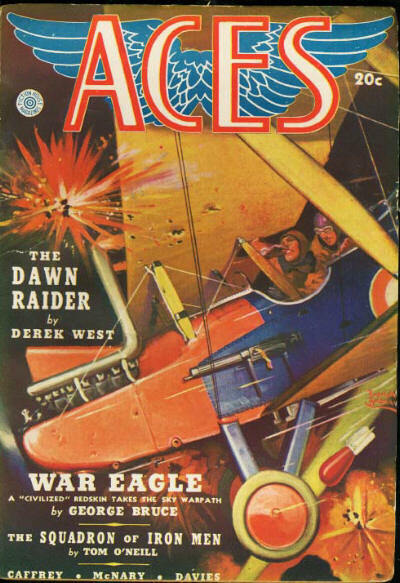 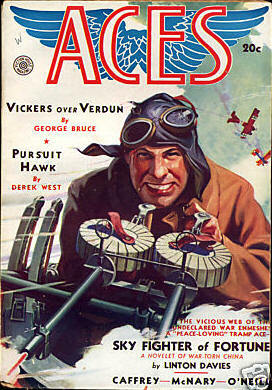 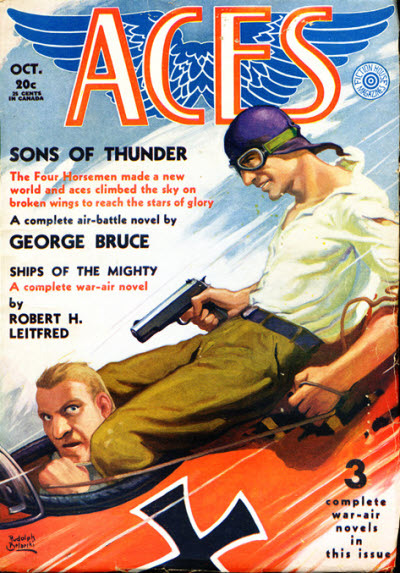 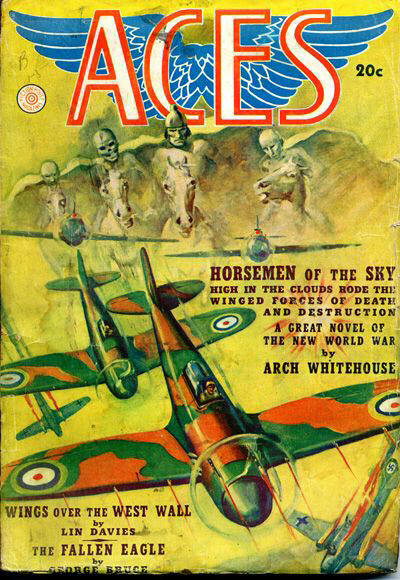 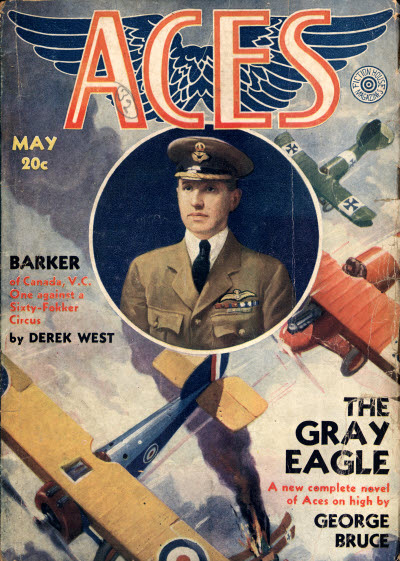 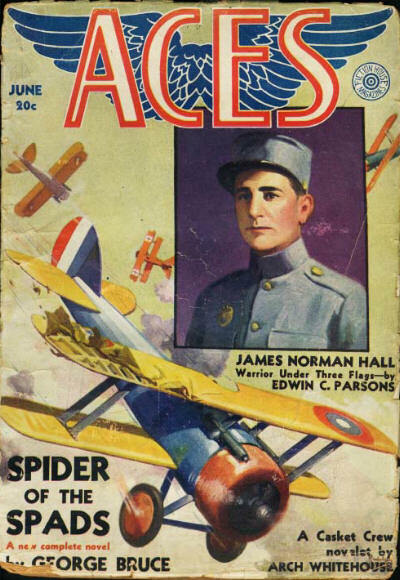 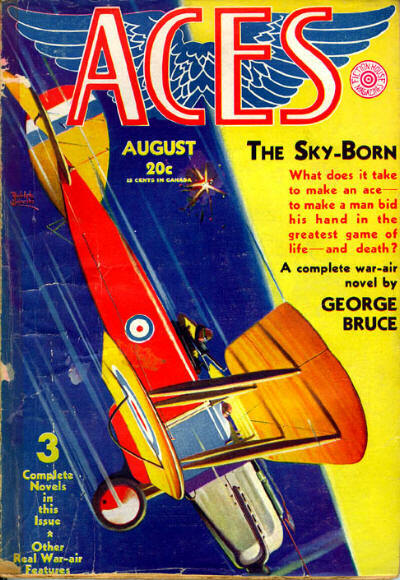 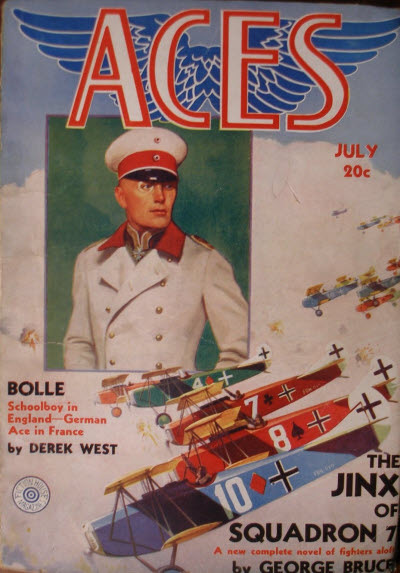 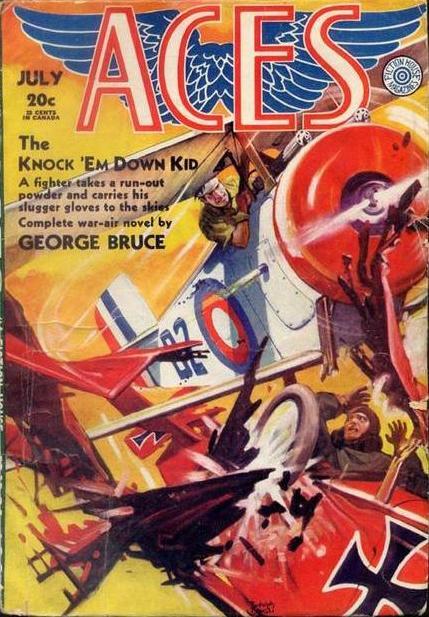 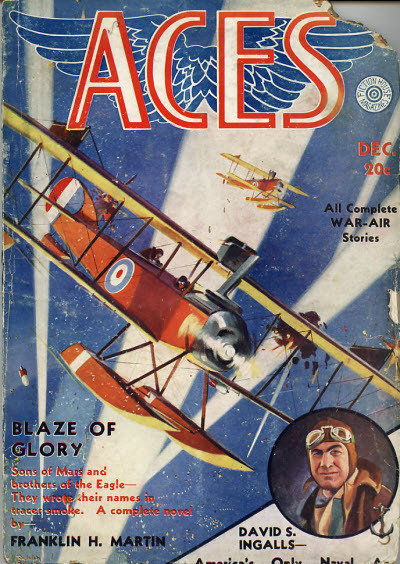 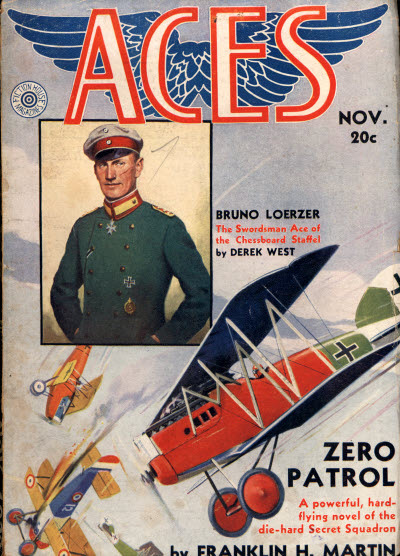 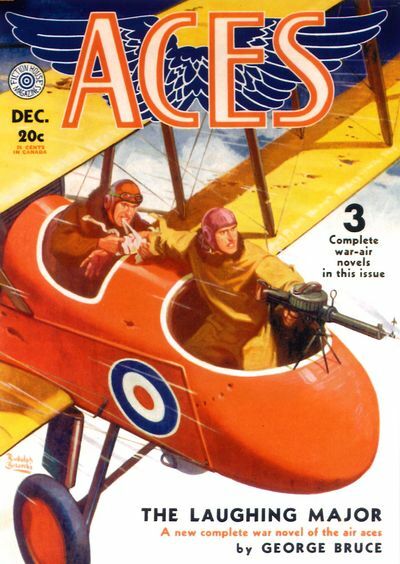 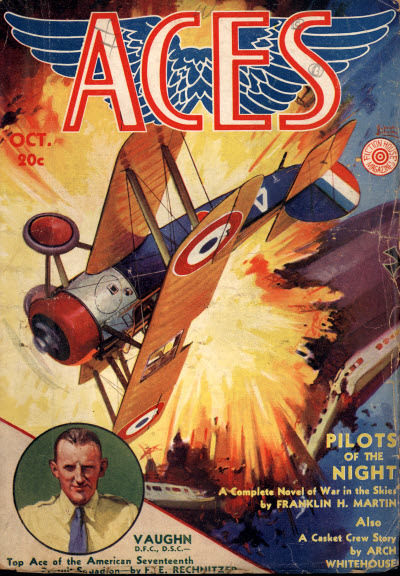 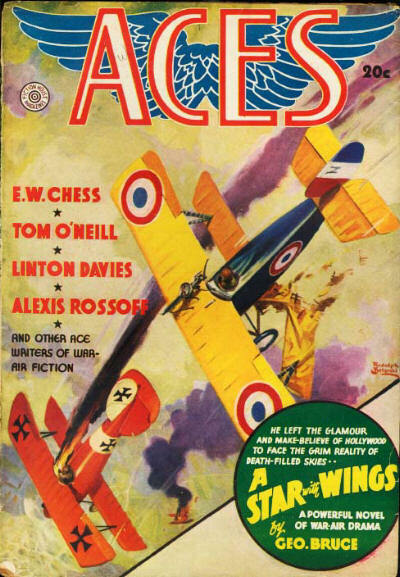 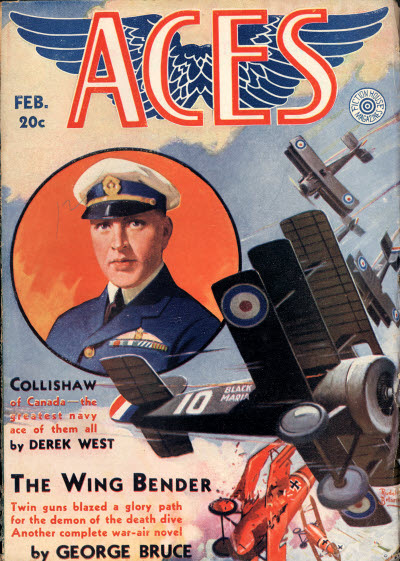 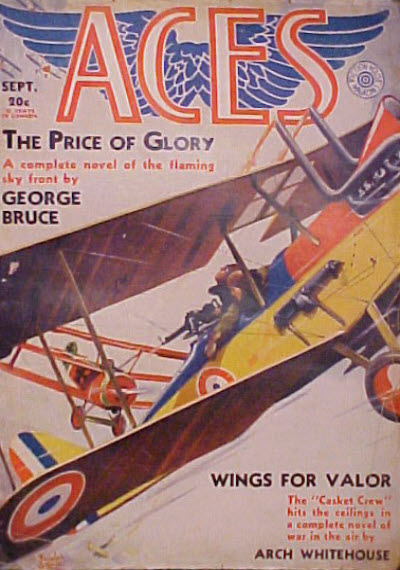 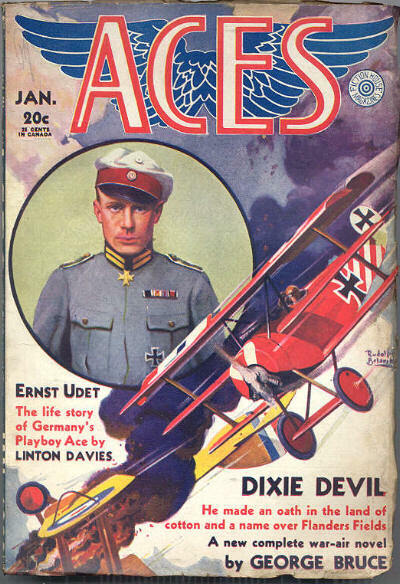 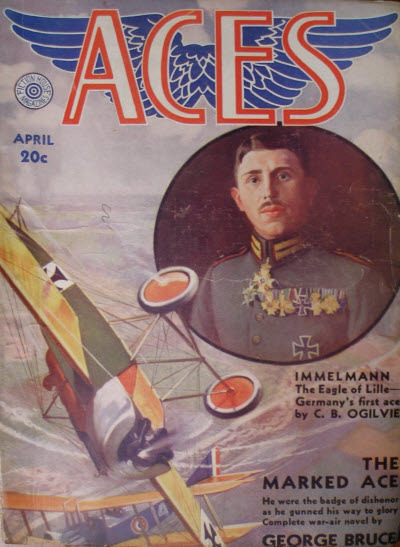 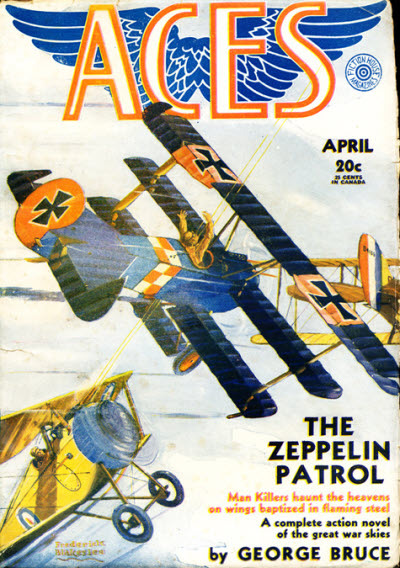 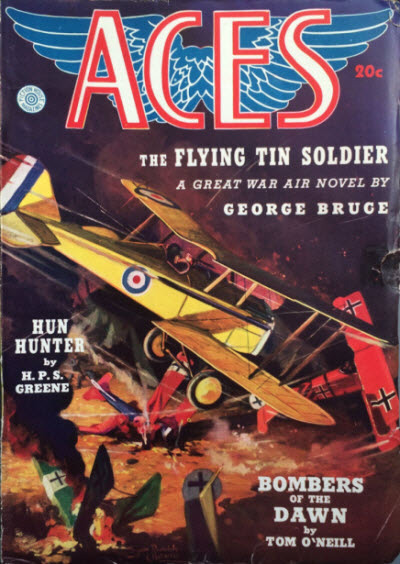 3 · The Zero Flight [Hugh Foster] · Frederick C. Davis · na; given as Ghost-Wings of Glory on the cover. 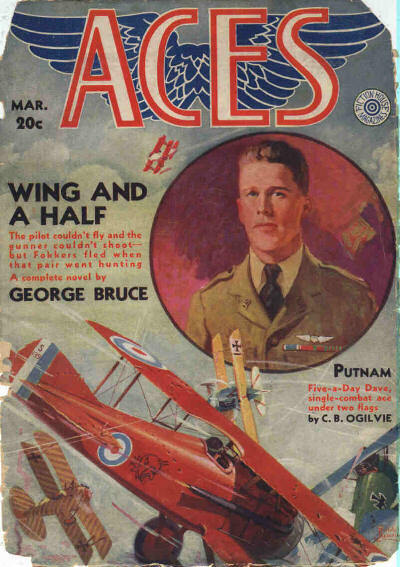 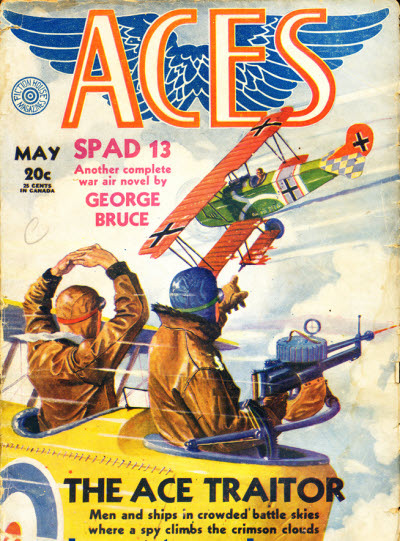 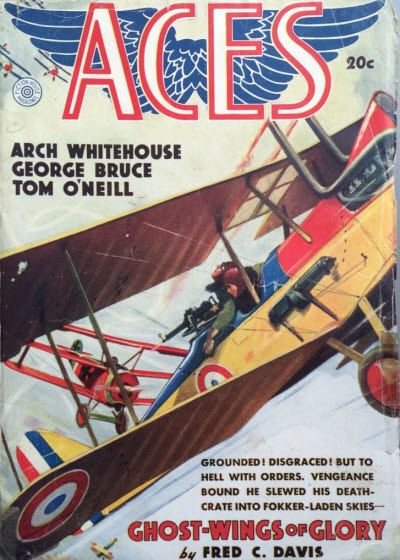 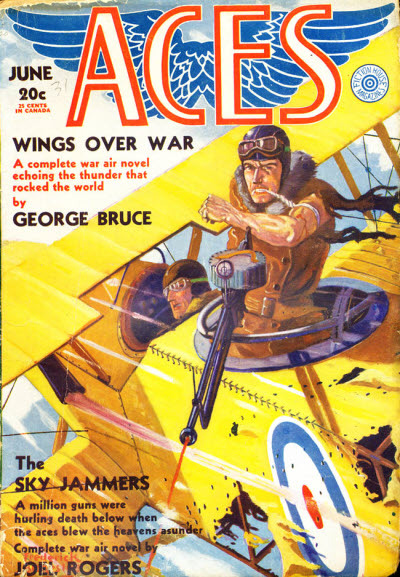 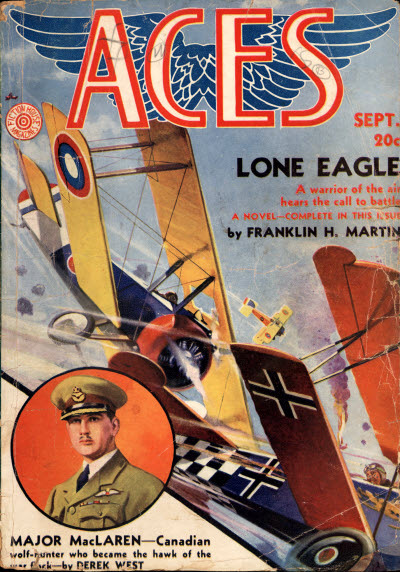 88 · The Eagles Brother [Speed Lavery] · George Bruce · na; not the same as the story of the same name in the December 1931 issue of Wings.